When you're fighting to forget, what would make you remember? Pan Harris is is brash, loud and damaged. 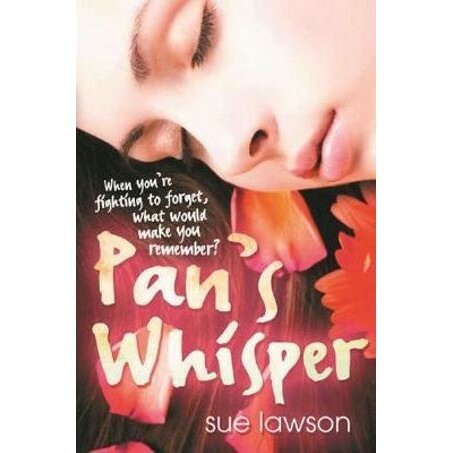 Ordered into foster care, Pan is full of anger at the mother who abandoned her, and the older sister who kept her from her father. Pan is certain that she knows the reality of her past - until she meets Hunter, the boy who understands her story better than anyone else, and who just may be the key to unlocking the truth of Pan's memories. But are some memories best left forgotten? And is Hunter worth Pan breaking her most important rule - Never. Trust. Anyone. Radio announcer, teacher, MCG attendant, nightclub DJ, shop assistant, swimming teacher, babysitter... just a few of Sue Lawson's jobs before she turned a passion for writing into a career. Sue grew up on a farm near Hamilton, Victoria, and after moving all around the state, now lives in Western Victoria, with her husband Bruce, daughter, Courtney and Milly the Cavoodle. Sue continues to teach, write for children and run writing workshops for children and adults.